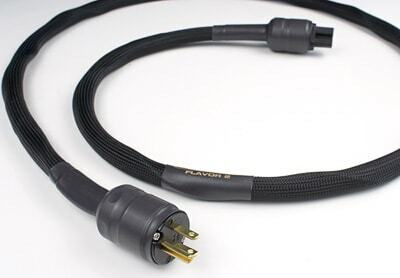 The VH Audio Flavor 2 power cable is designed primarily for front-end analog components and low power amplifiers. * No shield is utilized in order to maintain unrestricted macro and micro dynamics. Analog components don't generate the same amount of noise that digital components radiate, so shielding in addition tot he twisted pair geometry is unnecessary.